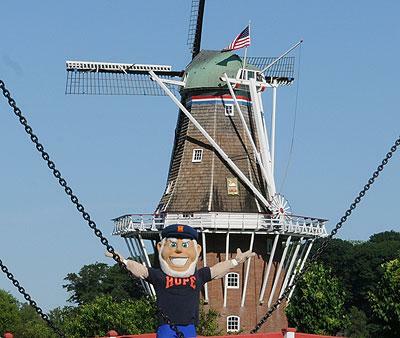 A picnic at Windmill Island Gardens and a home football game will be among the features of the 46th annual Holland/Hope Community Day on Saturday, Sept. 10. Hope College is one of a select group of locations nationwide, and the only site in Michigan, to be chosen to host a National Endowment for the Humanities (NEH)-supported traveling exhibition that highlights the creation and impact of the King James Bible in conjunction with the 1611 book's 400th anniversary. Hope College has appointed two current faculty members to new endowed professorships beginning with the start of the coming school year.